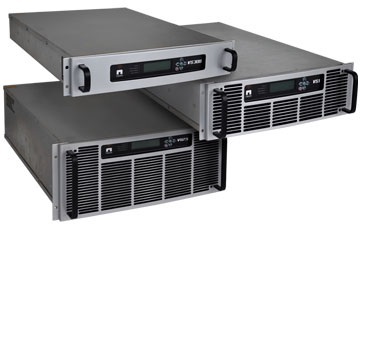 Nautel’s new VS Series FM transmitters are unlike any other. Industry first innovations such as IP audio, Livewire and Shoutcast support, audio backup, advanced control and optional Orban Inside. Outputs of 300 W, 1 kW, and 2.5 kW. Never before has such sophisticated control been made available in this class of transmitter. Nautel brings its renowned Advanced User Interface (AUI) found in its high end transmitters to the VS Series. Instrumentation is included that would be valued separately at more than the cost of the transmitter. In addition a front panel LCD provides control of key functions. Access the AUI via the internet or a direct CAT-5 cable connection. Years of interface development effort gives you immediate access to almost any parameter imaginable, whether at the transmitter site or from the comfort of your living room. Imagine knowing in advance what parts and tools you’ll need at the transmitter site. Having that much control remotely can help you avoid trips, save time and save money. Nautel added a USB port so that you can connect a megabyte or even a terabyte of local storage. Use the storage to store content or even load up the songs and content using the VS internet connection. If you think the local audio storage mentioned above sounds interesting you’ll want keep your eye on soon to be released VS Series playlist and scheduler capability. From your office or anywhere for that matter you can set up basic automation capabilities to playout audio or insert local content. It’s like putting part of the studio inside the transmitter. Stay tuned for more capability in the VS by way of something we call Push Radio that can help satellite connected stations slash costs and provide more local content.